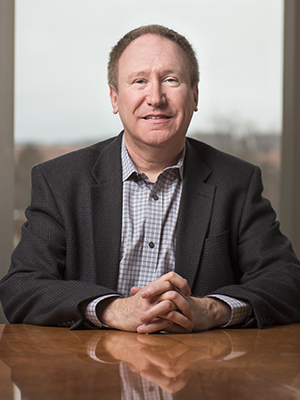 Brad Strock’s path to Purdue and the Krannert School was clear, but his career in business and former role as chief information officer at PayPal took a few unexpected turns along the way. Once on the West Lafayette campus, Strock soon joined the College of Engineering’s co-op program, which allowed him to alternate his academic studies every other semester with a professional work rotation at GE. Upon completing his bachelor’s degree in mechanical engineering in 1986, Strock applied to a number of business schools. Although most graduate-level business programs typically require several years of work experience, Strock’s professional practice in the engineering co-op program made him uniquely qualified for Krannert’s Master of Science in Management (MSM) program, so he remained at Purdue and joined Hillenbrand Industries after earning his MSM in 1988. Strock retired from PayPal in 2018. Strock, a former speaker at the Krannert Executive Forum, offers similar wisdom to today’s business students.